Such a sweet expression!!! Lovely!! I totally agree that white fur is challenging! It's not white at all which is the key to painting it. 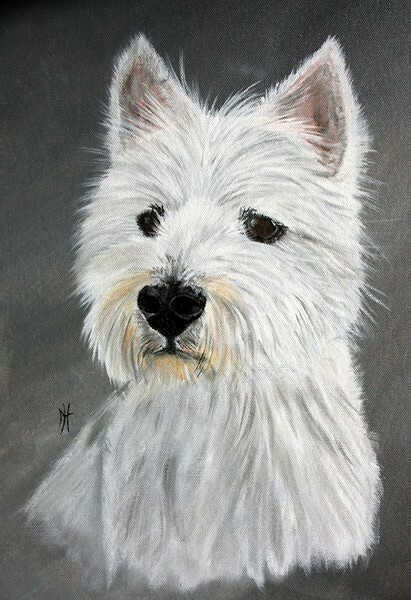 Fabulous portrait, this is so difficult to paint fur!!!!! Very nice dog!!!! Artist Reply: Many thanks for the very kind comments, yep fur and especially white fur isn`t easy at all. Excellent work.. Beautiful"fur. White iis so difficult for me!